Last February I had no idea who Audrey Jones was. We were preparing for Everywhere Else Memphis and knee deep in getting ready. diPR consulting’s Danielle Inez was recruiting volunteers and handling many of the pre-show logistics. When the conference time finally arrived, we met up with all of the onsite volunteers. Audrey Jones was one of them. She told us in an interview that she had heard good things about the conference and was curious about what it was all about. She received an email from one of the civic groups she works with for volunteers and decided she would sign up for one shift. That day, she took control of registration and front end organization and then stayed on throughout the entire conference, never missing a beat. It was like we had planned and rehearsed her role for months, but for Jones, organization and execution come naturally. It’s one of the qualities her full time employer, Memphis based AutoZone loves about her. In fact several people from AutoZone’s marketing and IT departments attended at least some part of the inaugural conference in Memphis. At some point during the conference an AutoZone employee came up to me and congratulated us on a job well done. He then said that we could have Audrey for the remaining two days of the conference, but not only that she wouldn’t have to take time off, AutoZone was paying her to work for us. But this story isn’t about a great conference volunteer or a great company in Memphis. The story continues. 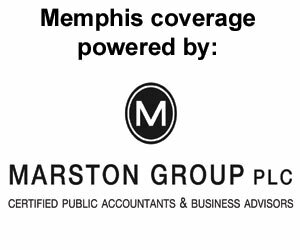 Jones was so intrigued by what she witnessed at the Startup Conference that she started spending her free time with Start Co, the Memphis organization that serves as an umbrella for many of Memphis’ startup efforts. Jones stayed in touch with many of the people she met at the conference from across the country and started to work on an idea. What intrigued Jones most about Start Co and their various startup initiatives was Upstart Memphis, a women’s startup initiative that included a women’s only 48 Hour Launch and a women’s only startup accelerator. Jones’ preliminary idea revolved around the way that parents, loved ones, family members, and caregivers communicate. There’s so much technology out there now that phone trees are pretty much dead wood. “It’s a platform that allows parents to list their children’s emergency contact information electronically. It’s the alternative to the cluttered file cabinet in emergency situations. Parents can grant access to whomever needs access, like sittrs, tutors, daycare and childcare providers,” Jones told us. Jones had no idea she was an entrepreneur or a startup founder in January of this year. By spring she was talking to people about this idea. Then Start Co put a call out to women led startups to apply for their inaugural summer cohort for their women’s accelerator. Jones admitted she felt like she didn’t think she would get in, but went forward with the application process, even citing Nibletz as a reference after her work with the conference. Kids360 was one of the four startups selected for the women’s only cohort that puts the women founded startups through a bootcamp-style, intense business and entrepreneurial accelerator. The hope for Start Co co-presidents Andre Fowlkes and Eric Mathews is that founders will be launch ready at the end of the accelerator, which is really just the beginning. For Jones it’s been non stop since the accelerator kicked off at the beginning of the summer. She continues to work full time for AutoZone and spends another 40-50 hours a week on Kids360. 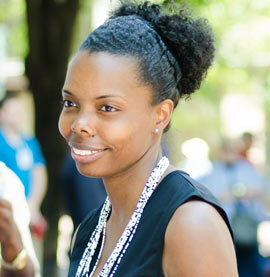 “Audrey is a great example of the type of entrepreneur we find here in Memphis. She is constantly grinding whether it’s her own startup, helping others or on her job. She’s putting the resources of StartCo to work for her every chance she gets,” Mathews told us by email. It helps that Audrey works for AutoZone, a company founded by serial entrepreneur Pitt Hyde. The company was very supportive during those few days of the conference and continues to support Jones with a little extra flexibility in her schedule while she is going through the accelerator program. This isn’t the first time that AutoZone has supported one of their employees going through one of Start Co’s accelerator programs. In fact it’s their third go round and they would continue to do it over and over again, Jones tells us. “Because entrepreneurs make the best employees,” Jones told us. She is very open about her startup and what she is doing in the program. Everyone on her team all the way up to Pitt Hyde knows that she’s in the program. “Whenever I see Mr. Hyde in the halls I smile with my AutoZone uniform on and re-pitch him again,” Jones said. “We’ve seen quite a few entrepreneurs come through the ranks at Autozone, which is very supportive of our young entrepreneurs and Start Co. Audrey markes the third time that we’ve been able to help an Autozone employee hone in their inner entrepreneur,” Mathews said. Hyde is also very supportive of entrepreneurial efforts in Memphis. He is a major supporter and director for Memphis Bioworks and their Zeroto510 accelerator, which is run in partnership with Bioworks and Start Co. So now with just weeks to go before demo day at the UpStart accelerator, Jones is gearing up to have a booth at Everywhere Else Cincinnati’s Startup Avenue. She’s looking forward to real life pitch practice, talking to investors, and of course helping out the Everywhere Else team. It’s not too late to get your own booth or attendee ticket for Everywhere Else Cincinnati.